Draft: 2009, Minnesota Twins, 8th rd. James Brian Dozier...Graduated from Itawamba Agricultural High School in Fulton, Miss. and attended the University of Southern Mississippi where he was named a Louisville Slugger Freshman All-American and to Conference USA All-Freshman team in 2006...Named Second-Team All-Conference USA as a junior...Goes on annual mission trips to Central America with his wife, Renee, to build schools and dig ditches to houses for clean water systems for an organization called Amigos for Christ. Began the season with the Twins before being acquired by the Dodgers at the non-waiver trade deadline...Ranked among Major League second baseman in walks (3rd, 70), home runs (T6th, 21), RBI (T6th, 72), extra-base hits (7th, 53), runs scored (8th, 81) and doubles (T9th, 30) in 2018...In 151 games between the two clubs, hit .215 with 30 doubles, two triples, 21 home runs, 72 RBI, 12 stolen bases and 81 runs scored...He posted a .305 on-base percentage and a .391 slugging percentage...Opened the season on a 17-game hitting streak (which started on Sept. 22, 2017, making it a 24-game streak)...Hit .307 with four doubles, four homers, 10 RBI, eight walks and 15 runs scored during the 17-game portion of the streak...Hit four homers in the first five games of the season... Appeared in 11 Postseason games for the Dodgers as they advanced to the 2018 World Series. Was Twins Opening Day second baseman and leadoff hitter April 3 vs. Kansas City; was the 700th game of his career...Hit first home run of the season April 12 at Detroit off Michael Fulmer, the 20th leadoff home run of career, tying Jacque Jones for most in Twins history; passed Jones with 21st on July 14 at Houston; finished with eight leadoff homers, hitting six more: July 15 at Houston, July 30 at Oakland, August 4 vs. Texas, August 13 at Detroit, September 6 at Tampa Bay, September 12 vs. San Diego...Hit first career inside the park home run April 16 vs. Chicago-AL off James Shields, the 52nd in Twins history...Recorded two multi-homer games: May 2 vs. Oakland and August 4 vs. Texas...Hit safely in season-high 10 straight May 19-29, hitting .311 (14-for-45) with four doubles and eight RBI in that span...Hit career home runs 135 and 136 August 4 vs. Texas; the home runs tied and passed Joe Mauer (135 at the time) to move into sole possession of 11th on the Twins all-time list...Hit 20th home run August 6 vs. Texas, becoming the ninth different Twin with 20-plus home runs in four straight seasons...Hit first career grand slam August 8 vs. Milwaukee and set single-game career high with five RBI...Hit 141st career home run August 18 vs. Arizona, tying Michael Cuddyer for 10th on Twins all-time list; hit 142nd August 20 vs. Arizona, passing Cuddyer and moving into sole possession of 10th...Hit .319 (37-for-116) with nine home runs, 22 RBI, 18 walks and a .419 on-base percentage in 29 August games...ranked fifth in the AL in walks...Scored 500th career run September 1 vs. Kansas City...Hit 30th home run September 12 vs. San Diego, becoming the fifth Twin to homer 30-plus times in consecutive seasons (42 in 2016), joining Harmon Killebrew (1961-64), Bob Allison (1963-64), Gary Gaetti (1986-87), and Justin Morneau (2006-07); became fifth second baseman to do it, joining Dan Uggla (5x, 2007-11), Ryne Sandberg (1989-90), Alfonso Soriano (2002-03) and Chase Utley (2008-09)...Stole 90th career base September 22 at Detroit, passing Nick Punto (89) and tying Denard Span for 10th on Twins all-time list...150th homer was a three-run go-ahead shot in the eighth inning September 26 at Cleveland, helping reduce Minnesota's magic number to 1...Committed just five errors on the season, the fewest of his career and fewest by any second baseman in baseball to play at least 1000.0 innings...Hit .331 (48-for-145) with 11 homers off left-handed pitching and .250 (118-for-472) with 23 homers off right-handed pitching ...Led Twins in runs (106), hits (167), home runs (34), RBI (93) and walks (78); set career high with .269 (166-for-617) batting average...Finished tied for 10th in AL in home runs...Named Twins representative for Hank Aaron Award...Given 2017 Calvin R. Griffith Award for Most Valuable Twin and Bob Allison Award for Twins Leadership, both voted on by the Twin Cities Chapter of the BBWAA...Given 2017 Rawlings Gold Glove Award®, becoming second second baseman in Twins history to earn the award, joining Chuck Knoblauch in 1997...Made postseason debut in AL Wild Card game October 3 at New York-AL, going 2-for-4 with a walk and a leadoff home run (off Luis Severino)...first postseason leadoff homer in club history and third in baseball history, joining Baltimore's Brady Anderson October 1, 1996 and Chicago-NL's Bob Dernier October 2, 1984 ...also first time in baseball history to have an entire MLB postseason's slate of games started with a home run...one of four players in club history to homer in first career postseason at-bat, joining Don Mincher (Game 1 of World Series in 1965 vs. Los Angeles-NL), Gary Gaetti (Game 1 of 1987 ALCS vs. Detroit), and Eddie Rosario, who did it three batters after Dozier. Was Twins Opening Day second baseman and leadoff hitter April 4 at Baltimore, his fourth straight season as club's Opening Day second baseman...Did not commit an error in 41 straight games April 19-June 8, second longest streak of career (49, May 20-July 13, 2013)...Had third career two-homer game June 28 at Chicago-AL; second career two-homer game at U.S. Cellular Field...Hit .369 (38-for-103) with nine doubles, two triples, eight home runs and 21 RBI in 27 June games...for the month, tied for second in the AL in doubles, tied for fourth in hits, tied for sixth in home runs, seventh in batting average and tied for ninth in RBI...Reached base safely in 25 straight games June 7-July 3...also reached safely via hit, walk or hit-by-pitch in 36 of 37 games from May 24-July 3...Recorded an extra-base hit in 11 straight games June 18-30, setting a Twins record...it marked the longest streak in baseball since Alex Rodriguez had an 11-game streak from the end of 2006 to the 2007 season; it marked the longest in baseball by a middle infielder since Rogers Hornsby hit an extra-base hit in 12 consecutive games in 1928...according to Elias, the 20 hits, which included six homers, over the 11 games made him one of five Twins to ever produce those totals over an 11-game span, joining Joe Mauer (2009), David Ortiz (2002), Dave Winfield (1993) and Kirby Puckett (1987)...Hit fourth career two-homer game July 31 vs. Chicago-AL, second of season...Hit 20th home run August 2 at Cleveland, becoming first Twin since Jason Kubel (2008-10) to hit 20-plus homers in three straight seasons...Tied career-high with 28th home run August 18 at Kansas City; set career-high with 29th August 19 at Kansas City...28th was 15th career leadoff home run which tied Chuck Knoblauch for second on Twins all-time list; passed Knoblauch with 16th August 30 at Cleveland...Hit .302 (38-for-126) with nine doubles, two triples, 13 home runs, 27 RBI, 27 runs scored and 11 walks in 29 August games...led baseball in home runs...ranked first among AL players in extra-base hits (24) and total bases (90), and tied for first in RBI (27)...13 home runs were second most in club history for a single month, trailing Harmon Killebrew's June 1964 total of 14...Hit three home runs September 5 vs. Kansas City, becoming sixth player in club history with a three-homer game, joining Bob Allison (May 17, 1963 at Cleveland), Harmon Killebrew (September 21, 1963 at Boston), Tony Oliva (July 3, 1973 at Kansas City), Justin Morneau (July 6, 2007 at Chicago-AL) and Max Kepler (August 1, 2016 at Cleveland)...Hit leadoff homers in consecutive games September 5-6 vs. Kansas City, becoming the first Twin to do so since Jacque Jones did it August 19-20, 2002 against Chicago-AL...Homered in five straight games September 2-6, tying a club record, previously held by Harmon Killebrew (3 times - 1964, 1970 and 1970) and Marty Cordova (1995)...Hit 40th home run September 12 at Detroit, off Daniel Norris, joining Harmon Killebrew as the only Twins to ever reach the 40-homer mark...Hit 42nd home run September 22 vs. Detroit; was 40th as a second baseman, passing Alfonso Soriano (2002) and setting a new AL record...also scored 100th run, becoming the second player in club history to score 100-plus in three straight seasons, joining Chuck Knoblauch who did it from 1995-97 (107, 140 and 117)...Hit safely in career-high 24 straight games August 27-September 22 (Game 1), tied with Lenny Green (1961) for third longest streak in club history, trailing Ken Landreaux (31 in 1980) and Brian Harper (25 in 1990)...hit .351 (35-for-101) with six doubles, 12 home runs, 23 RBI and 20 runs scored during the streak...fourth longest streak in baseball for the season...Hit six leadoff home runs on the season, finishing with 19 for career, second most in club history, trailing Jacque Jones (20)...Finished with 40 home runs as second baseman (2 as designated hitter), tied with Ryne Sandberg (1990) for third most in baseball history at the position, trailing Davey Johnson (1973) and Rogers Hornsby (1922), who each hit 42...according to Elias, broke the AL record for homers by a second baseman after the break with 28; previous mark held by Joe Gordon (1940), when he hit 21 with the Yankees...Led baseball in home runs (28) post-All-Star break, also led in total bases (195) and extra-base hits (49), fourth in runs scored (57) and slugging percentage (.646), and fifth in RBI (56)...Hit 11 home runs against Kansas City, the most for a player against one team since Alex Rodriguez hit 11 against Los Angeles-AL in 2003...Finished tied for third in baseball in home runs (42) with Khris Davis and Edwin Encarnacion, trailing Mark Trumbo (47) and Nelson Cruz (43); became just the second Twin to ever finish among top three in any season (Killebrew, 6 times: 1961-64, '66 and '69)...additionally, he ranked 12th in the AL in runs scored (104)...Finished seventh on Twins all-time list in home runs for a single-season; finished with second-most extra-base hits (82), trailing only Tony Oliva's 1964 total of 84...Only player in baseball with 40-plus home runs, 100-plus runs and 15-plus stolen bases and only player in club history to do so...first player in baseball since Curtis Granderson in 2011 to reach those levels...Finished as one of six players in baseball with 35-plus homers, 100-plus runs and 90-plus RBI, joining Nolan Arenado, Kris Bryant, Robinson Cano, Josh Donaldson and Manny Machado...Hit .282 (40-for-142) with 11 home runs against left-handed pitching and .264 (125-for-473) with 31 home runs against right-handed pitching..Finished 13th in the AL MVP voting, tallying nine voting points...Given 2016 Calvin R. Griffith Award for Most Valuable Twin, Charles O. Johnson Award for Most Improved Twin and Bob Allison Award for Twins Leadership, all voted on by the Twin Cities Chapter of the BBWAA. Was Twins Opening Day second baseman and number two hitter, his third straight season as club's Opening Day second baseman....Set career-high with four hits May 3 vs. Chicago-AL. ATied career-high with four RBI, three times: April 30 vs. Chicago-AL, May 24 at Chicago-AL and July 10 vs. Detroit...had second career two-homer game May 24 at Chicago-AL....Hit .287 (31-for-108) with 10 doubles, three triples, seven home runs, 15 RBI and 24 runs scored in 27 May games; the 20 extra-base hits tied the Twins record for the most extra-base hits in May (Zoilo Versalles - 1965, Kirby Puckett - 1990)...10 doubles were tied for third most in the AL and tied for fourth most in baseball....Hit eighth career leadoff home run May 10 at Cleveland off Danny Salazar, passing Shannon Stewart and moving into sole possession of fourth on Twins all-time list....Hit ninth career leadoff home run May 24 at Chicago-AL off Jose Quintana...hit 10th career leadoff home run June 14 at Texas off Nick Martinez....Stole 50th career base June 22 vs. Chicago-AL; along with his 61 career home runs at the time, he became the 16th Twin to ever reach 50 career steals and 50 career home runs....Hit 11th career leadoff home run June 26 at Milwaukee off Kyle Lohse.... Hit first career walk-off home run July 6 vs. Baltimore, a two-run shot off Tommy Hunter in the bottom of the 10th, giving the Twins the 4-2 win....Hit second career walk-off home run July 10 vs. Detroit, a three run shot off Joakim Soria in the bottom of the ninth, giving the Twins the win, capping a six-run comeback and seven-run ninth...he became the second player in Twins/Senators franchise history to record multiple walk-off homers in a single homestand...Roy Sievers achieved that feat for the Washington Senators in 1958, having hit game-ending homers against the Indians on July 16 and the White Sox on July 20....Hit 12th career leadoff home run July 17 at Oakland off Sonny Gray, tying Dan Gladden for third on Twins all-time leadoff homers list....Finished pre-All-Star break with 48 extra-base hits, the most in Twins/Senators franchise history....Was on AL's final vote ballot but was not elected...eventually named to AL All-Star team as a reserve, replacing Toronto's Jose Bautista...entered the game as pinch hitter in the eighth inning and homered off Pittsburgh's Mark Melancon...became 16th player to ever homer in his first All-Star Game at-bat and third Twin to ever homer in an All-Star Game, joining Kirby Puckett (1993) and Harmon Killebrew (1961, '65, '71)....Was named Twins winner of the Heart and Hustle Award near end of July, for the second straight season....Hit fifth leadoff home run of the season, and 13th career leadoff home run, July 30 vs. Seattle off J.A. Happ, passing Gladden and moving into sole possession of third on Twins all-time leadoff homer list....Hit 23rd home run August 2 vs. Seattle, tying his single-season career-high, done in 2014; set new season-high with 24th August 7 at Cleveland....Hit 30th double August 12 vs. Texas, marking his third straight season with 30-plus doubles.... Recorded 63rd extra-base hit with a triple August 30 vs. Houston, setting a Twins single-season record for extra-base hits by a second baseman, passing Chuck Knoblauch's 1996 total of 62....Set new single-season career-high with 34th double September 1 vs. Chicago-AL....Scored 100th run September 26 at Detroit, becoming the third Twin to score 100 runs in consecutive seasons (Knoblauch, 1995-97 and Tony Oliva, 1964-65)...also recorded 73rd RBI, setting Twins record for most RBI by second baseman in single season (Knoblauch, 72 in 1996)....Led the club in home runs (28), doubles (39) and runs scored (101) and ranked second in hits (148) and walks (61)....Finished tied for fifth in the AL in runs scored (101) and tied for ninth most in baseball. ...Played 1,383.0 innings at second base, the second most in club history, trailing Bernie Allen's 1962 total of 1,410.1....Ranked fourth among AL second basemen with a .990 fielding percentage (minimum 1,000.0 innings played) and led all of baseball in innings played at the position (1383.0)....Represented the Twins as a finalist for the Hank Aaron Award....Given Carl R. Pohlad Award for Twins Outstanding Community Service. Made Twins Opening Day roster for second straight season and was Opening Day second baseman and leadoff hitter March 31 at Chicago-AL...Hit fourth career leadoff home run April 5 at Cleveland off Carlos Carrasco...Hit second leadoff homer of season, fifth of career, April 12 vs. Kansas City off James Shields, tying Cesar Tovar, Denard Span and Shane Mack for sixth most in club history...Hit third leadoff homer of season, sixth of career, April 17 vs. Toronto off Dustin McGowan, tying Zoilo Versalles for fifth most in club history...Hit safely in 12 straight home games April 30-May 18, hitting .367 (18-for-49) during the streak; third highest hit-streak for a Twin at Target Field in 2014...Led baseball in April in runs scored (25), fourth in AL in walks (19) and tied for fourth in AL in home runs (7)...25 runs in April set a club record for the month, passing Paul Molitor's 1996 total of 24...Hit safely in 10 straight games May 9-20, hitting .385 (15-for-39) during the streak...Hit 15th home run June 14 at Detroit and stole 15th base two days later on June 16 at Boston, marking the 15th time in club history and 12th different player to hit 15 homers and steal 15 bases in one season...did it in his 67th game which is the fastest ever by a Twin and fastest in baseball since the Dodgers Matt Kemp did it in his 68th game in 2011...according to Elias Sports Bureau, since 1914, Dozier and Larry Hisle (21 homers and 15 steals in 1977) are the only Twins in franchise history to hit 15 home runs and steal 15 bases in a first half of a season...Hit fourth leadoff homer of season, seventh of career, July 4 vs. New York-AL off Chase Whitley, tying Shannon Stewart for fourth most in club history...Had first career two-homer game July 13 at Colorado, one of two for the Twins in 2014 (Arcia the other)...Led AL and ranked second in baseball in runs scored pre-All-Star break (69)...Hit 18 home runs pre-All-Star break and was selected by AL Captain, Toronto's Jose Bautista, to participate in the Gillette Home Run Derby at Target Field; hit two home runs in the first round and did not advance...had brother Clay pitch to him...became the sixth different Twin to participate in the Home Run Derby (Tom Brunansky - 1985, Gary Gaetti - 1989, Torii Hunter - 2002, Justin Morneau - 2007 & '08, and Joe Mauer - 2009)...Became 17th player from host team to participate and second in club history, joining Brunansky...one of six players ever to not be named to an All-Star team to participate (Rafael Palmeiro - 2004, Hee-Seop Choi - 2005, Ryan Howard - 2007, Yoenis Cespedes-2013, Justin Morneau - 2014)...Hit 19th home run July 22 vs. Cleveland, setting a single-season career-high and new all-time high for Twins second basemen...Recorded 20th stolen base August 20 vs. Cleveland, becoming the sixth different player (7th time) in club history to hit 20 homers and steal 20 bases, the first since Torii Hunter in 2004...Scored 100th run September 3 vs. Chicago-AL (Game 2), becoming the 13th different Twin (20th time) to reach 100 runs and first since Michael Cuddyer scored 102 times in 2006...Hit safely in career-high 11 straight games August 22-September 1, hitting .390 (16-for-41) during the streak...Finished with 112 runs scored, the most for a Twin since Chuck Knoblauch scored 117 in 1997 and seventh most for Twin all-time...Led Twins in hits (145), home runs (23), walks (89), runs (112), stolen bases (21), games (156), at-bats (598) and ranked second in RBI (71)...Ranked second in the AL and third in baseball in runs scored (112), ranked third in the AL in walks, tied for eighth in times on base (243)...Among all second basemen in baseball, he ranked first in runs and walks, tied for first in home runs, third in times on base (243), fourth in total bases (249), and tied for seventh in doubles (33)...Ranked fifth among second basemen in baseball in double plays (98)...Was only player in baseball with over 100 runs, 30 doubles, 20 home runs, 80 walks and 20 stolen bases; only player in Twins history also...Was given the Twins Heart and Hustle Award, voted on by the MLB Players Alumni Association...Given the Jim Kaat Award for Twins Defensive Player of the Year voted on by the Twin Cities Chapter of the BBWAA. Made first career Opening Day roster and started Opening Day at second base April 1 vs. Detroit... Hit first home run of the season May 6 at Boston, a game-tying solo shot in the top of the ninth inning off Joel Hanrahan; Twins lost 6-5 in 11 innings... Reached base safely in 12 straight games May 27-June 9, posting a .318 batting average and a .400 on-base percentage in that span... Homered in three straight games June 19-21... Committed just two errors in first 80 games April 1-July 13, posting a .995 fielding percentage in that span... Hit safely in a career-high 10 games July 21-August 3... Hit game tying RBI-single in ninth inning August 2 vs. Houston, then later hit game-winning RBI-single in the 13th inning; according to the Elias Sports Bureau, he entered that game with 70 career RBI, but only one had either tied the game or put his team ahead in the seventh inning-or-later (game-tying home run on May 6, 2013)... Hit eight home runs with 20 RBI in 28 games August 6-September 3, posting a .576 slugging percentage in that span... Hit 30th double September 1 at Texas, becoming the fourth second baseman in club history to reach 30 doubles, and first since 1999 when Todd Walker hit 37... Hit 14th home run August 29 vs. Kansas City, tying Tim Teufel's 1984 total for most ever by a Twins second baseman...passed Teufel with his 15th August 31 at Texas... Played 146 games (141 starts) at second base, sixth most in baseball at the position; committed just six errors, tied for third fewest among AL second basemen...led all MLB second basemen in assists (461) and was involved in 110 double plays, second most among MLB second basemen... Led the Twins in home runs (18); was second in doubles (33), hits (136) and RBI (66), and third in walks (51)... Ranked second in home runs among AL second basemen; third in extra-base hits (55) and fifth in doubles... Finished as the Twins all-time leader in home runs by a second baseman, also finished second in RBI, fifth in slugging percentage (.414), tied for fifth in total bases (231), and sixth in doubles... Committed six errors, tying him with three others for fewest ever by a Twins second baseman: Luis Castillo (2006), Chuck Knoblauch (1992) and Steve Lombardozzi (1986)... Was given the Charles O. Johnson Award as Twins Most Improved Player and the Mike Augustin "Media Good Guy" Award, both voted on by the Twin Cities Chapter of the BBWAA. Was an invite to Twins spring training and started the season with Triple-A Rochester, hitting safely in first nine games, going 15-for-34(.441) April 5-14. ... Named Twins minor league Player of the Week April 13, batting .391 (9-for-23) with three doubles, one home run and four RBI in six games. ... Had contract selected by Minnesota May 7, as the Twins placed Justin Morneau on the 15-day disabled list. ... Made major league debut May 7 vs. Los Angeles-AL, going 1-for-4 with his first major league hit, singling off David Carpenter; came aroundto score first major league run...recorded first career RBI in next game May 8 vs. Los Angeles-AL. ... Hit first career double May 12 vs. Toronto...had first career home run the next day, a solo shot off Ricky Romero May 13 vs. Toronto. ... Hit safely in 14 of first 18 major league games May 7-25. ... Had first career stolen base June 4 at Kansas City. ... Optioned to Triple-A Rochester August 14...was tied with Asdrubal Cabrera for the most errors by a shortstop in the AL (15) at the time. Was an invite to Twins Spring Training...reassigned to minor league camp, March 14 and reported to Single-A Ft. Myers...Named Twins Minor League Player of the Week for the week ending May 21, batting .433 (13-for-30) with two doubles, two triples, seven rbi, three runs scored and two walks in seven games...second career Player of the Week honor...Was named Twins Minor League Player of the Month for May after batting .337 (33-for-98) with seven doubles, three triples, 11 rbi, 14 runsscored, 14 walks and seven stolen bases...his first Player of the Month honor...Hit a grand slam in his final game with the Miracle, June 4 vs. Jupiter...transferred to Double-A New Britain, June 6...Named Florida State League Mid-Season All-Star but did not play in the game due to promotion...Placed on the 7-day disabled list with a left cheekbone fracture, June 10...reinstated, June 19...Named Eastern League Player of the Week, August 8, after batting .520 (13-for-25) with four doubles and four rbi in six games...Hit safely in 18 of 19 games, July 31-August 21, including his first career two-homer game, August 20 vs. New Hampshire...Batted .385 (52-for-135) against left-handed pitching and .295 (105-for-356) against right-handers at both levels combined...Made just 13 errors between both levels in 127 games (five errors at Ft. Myers and eight errors at New Britain)...Given the Sherry Robertson Award for the Twins Minor League Player of the Year, voted on by the Twin Cities chapter of the BBWAA...combined to bat .320 (157-for-491) with 33 doubles, 12 triples, nine home runs, 56 rbi, 92 runs scored and 24 stolen bases in 127 gamesat both levels combined...Led the Twins organization in runs scored and triples, was third in hits, stolen bases and total bases (241), sixth in doubles and eighth in walks...Named as the shortstop on the Minor League Baseball website's 2011 Twins organizational All-Star team...Played for the Mesa Solar Sox in the Arizona Fall League, batting .296 (32-for-108) with 27 runs, eight doubles, three home runs and 22 rbi in 26 games...earned a roster spot in the AFL Rising Stars Game representing the East division as the starting second baseman...went 1-for-2 in the game with a solo home run...Ranked 10th-best prospect in the Twins' minor league system, Best Strike-Zone Discipline and Best Defensive Infielder by Baseball America, entering the 2012 season. Started the season with Single-A Beloit, playing 32 games at shortstop, three games at second base and three games at third base for theSnappers...made just seven errors in those games...Posted a season-high 12-game hitting streak, April 10-23...finished April with a .319 batting average...Transferred to Single-A Ft. Myers, May 22...hit his first professional home run, June 24 vs. Charlotte...Named Twins Minor League Player of the Week, June 25 after batting .412 with 14 hits, one double, one home run, five rbi and six runsscored in eight games...had season-high four hits, June 23 at Palm Beach...Batted .301 (25-for-83) vs. left-handed pitching and .266 (71-for-267) vs. righties, for the Rock Cats...Batted .313 (30-for-96) in 24 June games...batted .291 (83-for-285) post-All-Star break...Played 66 games at shortstop for the Miracle, 14 at third base and 12 at second base. Began season with Rookie-Level GCL Twins...played in five games before being promoted to Rookie-Level Elizabethton, July 8...namedthe Appalachian League Player of the Week, August 10...batted .321 (27-for-84) in 21 July games...had consecutive four-hit games, August 14and 15 at Bristol...batted .369 (48-for-130) with 10 doubles in 31 August games...collected 25 multi-hit games...batted .406 (26-for-64) againstleft-handed pitching and .331 (51-for-154) vs. right-handers...played all 53 of his games at shortstop...finished second in the AppalachianLeague in batting average, hits and on-base percentage...was named an Appalachian League Postseason All-Star. 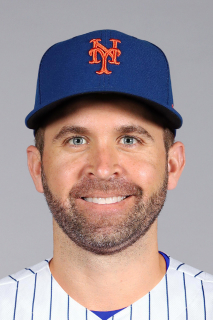 January 13, 2019 Washington Nationals signed free agent 2B Brian Dozier. October 29, 2018 2B Brian Dozier elected free agency. August 1, 2018 Los Angeles Dodgers activated 2B Brian Dozier. November 17, 2012 SS Brian Dozier assigned to Bravos de Margarita. October 4, 2012 Minnesota Twins recalled 2B Brian Dozier from Rochester Red Wings. August 15, 2012 Minnesota Twins optioned Brian Dozier to Rochester Red Wings. May 7, 2012 Minnesota Twins selected the contract of Brian Dozier from Rochester Red Wings. April 4, 2012 Brian Dozier assigned to Rochester Red Wings from New Britain Rock Cats. January 3, 2012 Minnesota Twins invited non-roster SS Brian Dozier to spring training. June 19, 2011 New Britain Rock Cats activated SS Brian Dozier from the 7-day disabled list. June 10, 2011 New Britain Rock Cats placed SS Brian Dozier on the 7-day disabled list. June 6, 2011 SS Brian Dozier assigned to New Britain Rock Cats from Fort Myers Miracle. January 11, 2011 Minnesota Twins invited non-roster SS Brian Dozier to spring training. May 22, 2010 Brian Dozier assigned to Fort Myers Miracle from Beloit Snappers. April 3, 2010 Brian Dozier assigned to Beloit Snappers from Elizabethton Twins. July 8, 2009 Brian Dozier assigned to Elizabethton Twins from GCL Twins. June 23, 2009 Minnesota Twins signed SS Brian Dozier. June 23, 2009 Brian Dozier assigned to GCL Twins.